Jacksonville – You can’t just stand by with blind loyalty. And I’m not saying fire people. I won’t go there. Never have, never will. 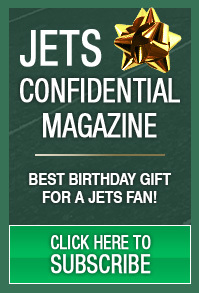 But the Jets need major changes moving forward this season. They need lineup changes, schematic alterations and perhaps some coaching assignments need to be tweaked. The last three games have been a disaster, loaded with mental errors and missed assignments. Christopher Johnson, and his right hand man, Ira Akselrad (pictured above), need to DEMAND changes. It’s time for them to ORDER their football people to change things up. Not suggest – ORDER. The reason Christopher and Ira need to ORDER changes is that their head coach is headstrong and seemingly unbending. There are certain players, that no matter how many times they mess up, they remain in the line-up. How do you reverse a three-game losing streak, loaded with blown assignments, without making line-up changes? What did Albert Einstein once say about doing the same thing over and over again and expecting a different result? 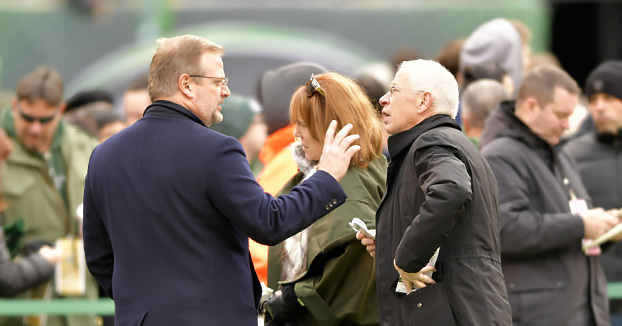 Mike Maccagnan can’t tell Todd what to do because they are equal in the power-structure. So this has to come from Christopher and/or Ira. Todd HAS to listen to them. He works for them. And it’s time for this powerful tandem to make it clear that what’s going on is unacceptable.